IVM, In-vitro Maturation, is so exciting! In comparison to IVF it’s cheaper, no shots, no mass hormones, no ovarian hyperstimulation! 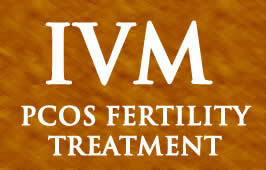 IVM fertility treatment was designed with PCOS patients in mind. PCOS sufferers were having failed IVF due to immature eggs. With IVM, doctors retrieve the eggs and allow them to mature in a petri-dish before insemination. IVM is very similar to IVF, minus all the hormone injections. IVM fertility patients take hormones orally in prep for egg retrieval. Eggs are retrieved and placed in a petri-dish to mature. Any eggs that do mature will be fertilized with the sperm and placed into the patient. The amount of eggs that mature will vary. I would love to hear from someone who did IVM fertility!! I have read stories online about the positive results, but would love a first hand account! This entry was posted in PCOS, PCOS Infertility, PCOS News & Research and tagged infertility, ivm.